Terrorism as a Cancer: Does this Metaphor Work for India? Home > News > Homeland Security > Terrorism as a Cancer: Does this Metaphor Work for India? If the conflict between India and Pakistan over Kashmir were to be resolved, Pakistan’s military would have no legitimacy to remain on the national scene. It is notable that since 1987 of the 43 Ashoka Chakras23 awarded, 27 (63 per cent) went to those valiant individuals who stopped terrorists infiltrating into India in the Jammu & Kashmir region and additional ten (23 per cent) to those who confronted terrorists in Mumbai, Delhi and Kabul. These terrorists were all handled or assisted out of Pakistan. Six Ashoka Chakras (14 per cent) were awarded to brave individuals who confronted the Maoists or Naxalites in the North-Eastern states. Some of these too, had foreign links. Counter-insurgency efforts cost India dearly in terms of its precious lives. Of the 43 Ashoka Chakras awarded since 1987, 42 were awarded posthumously! In the case of terrorism exported to India from Pakistan, the medical metaphor has its limits. The international law scholar, Oscar Schachter states, “When a government provides weapons, technical advice, transportation, aid and encouragement to terrorists on a substantial scale, it is not unreasonable to conclude that the armed attack is imputable to that government”.33 The exported, state-supported terrorism is essentially a military warfare, whether we choose to call it a proxy war or for what it is in the eyes of Oscar Schachter. Management of diseases is often described in terms of military metaphor. Conventional military conflicts, however, are seldom described in terms of medical metaphors. Yet rare examples might be found in the context of nuclear warfare. In one such case, Jane Orient observes that although considerable resources are applied to extend the lives of cancer patients by a few months, “physicians have labeled as hopeless any conflict involving nuclear weapons. While prevention is always preferable, nuclear warfare is the only disease in which physicians say with moral fervour, ‘No response to medical needs should be expected from medicine’.”34 The medical metaphor appears to be not very helpful or useful in the management of a military conflict. This article reviews the medical metaphor of cancer for its applicability to explain the nature of terrorism in India. This metaphor draws on the similarities in the characteristics of cancer and that of terrorism to assess whether various treatment plans for cancer suggest analogous approaches to the management of terrorism. To grow, cancer usually uses the resources of its host. An analogy would suggest a degree of applicability to indigenous terrorism. The degree to which one can make the case that the Maoist insurgency in North-Eastern India arises through general neglect of economic development in that region, the metaphor of cancer could be helpful. However, to the extent that terrorism in India is launched from outside India, the analogy suggests different strategies. India could act diplomatically and seek to aid its neighbouring countries in the effort to exercise control over the agencies promoting terrorism. In the case of terrorism exported to India from Pakistan, such aid would be of limited use, as already being claimed by President Trump. In addition, decades of diplomatic give and take between India and Pakistan has yielded no resolution for the Kashmir issue. The cancer metaphor suggests that the factors that trigger cancer, be blocked or removed before the cancer is triggered. From India’s perspective, this makes counter-insurgency important. India is ever vigilant to stop infiltrators at the LOC in Jammu and Kashmir and at its Eastern borders. This strategy is already costing India dearly in blood. Her soldiers sacrifice their lives to neutralise the terrorists on the LOC. In light of the potential for a nuclear war between Pakistan and India, with unthinkable consequences for destruction and lives lost, using the medical metaphor for treating cancer by surgical removal of terror pods within Pakistan, is difficult when these organisations appear to have active support of the Pakistani military and government, as useful tools to destabilise India. One has to conclude that the medical metaphor does not produce an advantage for India in terms to reducing the cost of neutralising terrorism. Institute for Economics and Peace (2017). Global Terrorism Index 2017: Measuring and understanding the impact of terrorism, available at http://visionofhumanity.org/app/uploads/2017/11/Global-Terrorism-Index-2017.pdf, accessed on 11 February 2018. Institute of Economics and Peace, 2017, ibid. Neeraj Chauhan (2017). “India 3rd largest terror target after Iraq and Afghanistan: US report”, The Times of India, 23 July 2017, available at https://timesofindia.indiatimes.com/india/india-3rd-largest-terror-target-after-iraq-and-afghanistan-us-report/articleshow/59719216.cms, accessed on 11February 2018. Dudley, Dominic (2016). ‘The Ten Countries Most Affected by Terrorism’, Forbes, 18 November 2016, available at https://www.forbes.com/sites/dominicdudley/2016/11/18/countries-most-affected-by-terrorism/#23449a3530d9, accessed on 11February 2018. Paul B. Stares and Mona Yacoubian (2007). “Terrorism as a disease: An epidemiological model for countering Islamist extremism”, The Mathew B. Ridgway Center for International Security Studies, University of Pittsburgh, available at https://pdfs.semanticscholar.org/3a62/c0105444e2739f40357091f76db6c74f2eff.pdf, accessed on 11February 2018. Gregory A. Curt (2005). “Terrorism and cancer: Four years after 9/11”, The Oncologist, Volume 10, Number 8, p. 663. Gregory A. Curt (2001), ibid. Joseph H. Campos (2016) The State and Terrorism: National Security and the Mobilization of Power. New York: Routledge, Taylor and Francis Group. Ashton B. ‘Ash’ Carter (2016). “Ash Carter: It’s time to accelerate the ISIL fight”, Politico Magazine, 22 January 2016, available at https://www.politico.com/magazine/story/2016/01/ash-carter-isil-fight-213554, accessed on 11February 2018. Muslims were in majority in different parts of British India.Therefore, Pakistan was created both, in the East and the West, separated by nearly 1,700 kilometers or over 1,000 miles of India! Krishna S. Dhir (2015). “Explaining the Poverty of India to IITians,”Fundamatics, Volume Q3, pp. 42-52, available at http://www.fundamatics.net/article/explaining-the-poverty-of-india-to-iitians/, accessed on 11 February 2018. 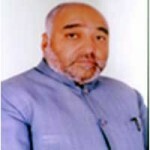 Shahid R. Siddiqi (2010). “Insurgency movements in India: Failure of the Indian government to address the root causes could lead to a domino effect in South Asia”, Axis of Logic, 26 December 2010, available at http://axisoflogic.com/artman/publish/Article_61885.shtml, accessed on 11February 2018. Shahid R. Siddiqi (2010). Ibid. Shahid R. Siddiqi (2010), ibid. US worried about Pakistan government’s stability: Tillerson”, The Times of India, 25 October 2017. Available at https://timesofindia.indiatimes.com/world/pakistan/us-worried-about-pakistan-governments-stability-tillerson/articleshow/61220850.cms, accessed on 11February 2018. Daniella Diaz (2018). “Trump’s first 2018 tweet: Pakistan has ‘given us nothing but lies & deceit’”, CNN politics, 2 January 2018, available at http://www.cnn.com/2018/01/01/politics/donald-trump-2018-pakistan/index.html, accessed on 11February 2018. Diaa Hadid (2018). “Tensions rise between Pakistan and U.S. after President Trump’s tweet”, National Public Radio, 2 January 2018, available at https://www.npr.org/sections/parallels/2018/01/02/575056954/tensions-rise-between-pakistan-and-u-s-after-president-trumps-tweet, accessed on 11 February 2018. Anthony H. Cordesman and Varun Vira (2011). Pakistan: Violence vs. stability, A national net assessment, Washington, DC: Center for Strategic and International Studies, available at https://csis-prod.s3.amazonaws.com/s3fs-public/legacy_files/files/publication/110607_Stabilizing_Pakistan.pdf, accessed on 11February 2018. Ian Bremmer (2018). “Trump turns his back on Pakistan, giving China an opportunity”, TIME, Volume 191, Number 3, p. 12, 29 January 2018. Available at http://time.com/5107502/trump-turns-back-pakistan-gives-china-opportunity/, accessed on 11February 2018. Stephen P. Cohen (2004). “India and Pakistan: Steps towards rapprochement”, Brookings, 28 January 2004, available at https://www.brookings.edu/testimonies/india-and-pakistan-steps-towards-rapprochement/, accessed on 11 February 2018. Ashoka Chakra (AC) is India’s highest peacetime award for gallantry and valor. The other peacetime gallantry awards are the second highest, Kirti Chakra (KC) and the third, Shaurya Chakra (SC). When gallantry is observed during war, the recognition is through the war time Chakra awards, namely the Param Vir Chakra (PVC), the Maha Vir Chakra (MVC) and the Vir Chakra (VrC). Dennis Ross (2014). “Ross: Taliban bigger threat to Pakistan than India”, The USA Today, 16 December 2014, available at https://www.usatoday.com/story/opinion/2014/12/16/pakistan-taliban-school-massacre-dennis-ross-column/20502987/, accessed on 11February 2018. Anwar Iqbal (2017). “Pakistan struggling with terrorism threat, claim US secret agencies”, Dawn, 13 May, 2017, available at https://www.dawn.com/news/1332858, accessed on 11February 2018. Syed Rifaat Hussain (2016}. “Trouble in the neighbourhood”, in “What is the most potent existential threat to Pakistan?” Herald, 18 August 2016, available at https://herald.dawn.com/news/1153036, accessed on 11February 2018. Babar Ayaz (2016}. “The elephant in the room”, in “What is the most potent existential threat to Pakistan?” Herald, 18 August 2016, available at https://herald.dawn.com/news/1153036, accessed on 11February 2018. Ajai Shukla (2018). “Viewpoint: India and Pakistan up the ante on disputed border”, BBC, 30 January 2018, available at http://www.bbc.com/news/world-asia-india-42856494, accessed on 11February 2018. Nitin A. Gokhale (2017). “The inside story of India’s 2016 ‘Surgical Strikes’”, The Diplomat, 23 September 2017, available at https://thediplomat.com/2017/09/the-inside-story-of-indias-2016-surgical-strikes/, accessed on 11February 2018. Wikipedia (2018). “India – Pakistan military confrontation (2016 – present)”, last edited on 23 January 2018, available at https://en.wikipedia.org/wiki/India%E2%80%93Pakistan_military_confrontation_(2016%E2%80%93present), accessed on 11February 2018. Edith T. Penrose (1952). “Biological analogies in the theory of the firm”, The American Economic Review, Volume 42, Number 5, pp. 804-819. Peter G.Klein (2016). “Is terrorism a disease?” Mises Institute: Austrian Economics, Freedom, and Peace, available at https://mises.org/blog/terrorism-disease, accessed on 11February 2018. Oscar Schachter (1993). The lawful use of force by a state against terrorists in another country, in Henry H. Han, ed, Terrorism and Political Violence: Limits and possibilities of legal control, 243, 249, Plymouth, UK: Oceans Publishing. Jane M. Orient (1984). “The medical metaphor for nuclear warfare: A critique”, Perspectives in Biology and Medicine, Volume 27, Number 2, pp. 289-298. KRISHNA S. DHIR, a Ph.D. from the University of Colorado, is Professor of Management Science and former Dean of the College of Business and Economics at the University of Hawaii at Hilo, USA. He has also served as a visiting professor at Hungary’s Szechenyi Istvan University and University of Pannonia, Australia’s RMIT University and Swinburne Univerisity of Technology, UK’s Coventry University, and other institutions. Earlier, he was the chief academic officer of the business programs at The Citadel: The Military College of South Carolina in Charleston, USA. Former Vice President of BioStar Medical Products and engineer with Borg-Warner in the US; and an executive of CIBA-GEIGY in Switzerland, he was elected Fellow of the Operational Research Society in 2004. He served as the President of the Decision Sciences Institute during 2011-2012. He can be reached at: kdhir@iitbombay.org. Was Tahrir Square Revolution a Failed Effort in Applying Nonviolence?